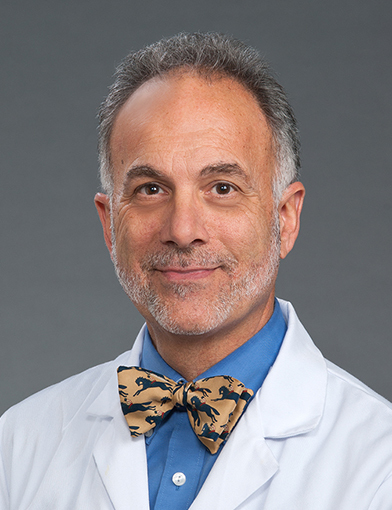 Dr. Joseph Aloi is section chief for Endocrinology and Metabolism at Wake Forest Baptist Health in Winston-Salem, North Carolina. January 17, 2019Thrilled to have *Dr. Aloi as my new endo! Super helpful, great listener and I immediately felt he cares about me as a patient. December 11, 2018I was very anxious coming into this appointment. Dr. Aloi asked as soon as he entered the room what he could do to alleviate the anxiety, then followed through. he explained everything in detail, clearly, in a way I could understand. I felt like I was a part of the decision making process, not that he was telling me what we had to do. He was caring, knowledgeable, and patient. He spent a lot of time with me and I didn't feel rushed at all. Truly great experience! December 6, 2018*Dr. Aloi is a keeper. December 5, 2018Dr. Aloi presents himself to the patient in a caring and professional manner. November 29, 2018*Dr. Aloi went above and beyond to provide exceptional care! He had reviewed my chart complicated prior to our visit, was very thorough and _____. He engaged and included by husband in our visit, delivered excellent medical care with superb bedside manner. Please give him a raise, a scribe, a vacation and many accolades as he is amazing physician! November 26, 2018Dr Aloi cares for his patients. he is kind and professional. go beyond what is expected of him. November 1, 2018Very informative and professional! October 31, 2018Dr Aloi takes time to review my records, listen to me and respond. October 10, 2018Medical care and information is always excellent. September 28, 2018He is very personable. he suggests, _____ but does not force. He explains the need & importance. Also the consequences of MY choice(s). August 19, 2018We communicate through the My Wake portal. He responds quickly. He made a change to my medication that has made a remarkable difference for my health. August 18, 2018Impossible to overstate the quality of Dr. Aloi's care. August 10, 2018Dr. Aloi is excellent, which is why I travel 6 hrs. from northern Virginia to be under his care. He understands my medical condition and always recommends a course of care which is best for me. July 28, 2018I love Dr. Aloi. I just regret that I didn't seek his help earlier. May 30, 2018I really love Dr. Aloi. He is a wonderful provider and I have recommended him to several friends and family members. He is always so nice, and friendly. May 30, 2018Dr. Aloi and his medical staff were very professional and and caring while in their office. I appreciate their concern for my health and well being. April 21, 2018Dr aloa was very professional and concerned about my health, and he did made other appointments for me to try to help me get back on track with my health..
April 11, 2018Had the best visit. Learned many new ways of treating diabetes. Very excited about new changes. March 31, 2018I have the utmost confidence in Dr. Aloi. March 31, 2018Dr Aloi is one of the best doctors, if not the best doctor I have had; he is professional, knowledgeable, listens to your concerns and addresses them, doesn't make you feel rushed, responds to email through the portal, inspires confidence and has a pleasant, upbeat demeanor. Excellent doctor!!! March 30, 2018*Dr. Aloi seemed so knowledgeable of my issues. Very understanding & very concerned for a resolution. I am very impressed with this dr.
March 28, 2018Better than I've had. March 18, 2018Dr. Aloi is always very pleasant, informative, and nice to see! March 12, 2018Dr. Aloi was extremely receptive, attentive, and understanding on my concerns- and I had lots of them! He addressed them in a knowledgeable and compassionate manner that made me feel heard and understood. Comparison of Computer-Guided Versus Standard Insulin Infusion Regimens in Patients With Diabetic Ketoacidosis.. Ullal J, Aloi JA, Reyes-Umpierrez D, Pasquel FJ, McFarland R, Rabinovich M, Umpierrez GE. J Diabetes Sci Technol. 2018 01; 12(1):39-46. Sodium-Glucose Cotransporter 2 Inhibitors and Diabetic Ketoacidosis: A Case Series From Three Academic Institutions.. Misaghian-Xanthos N, Shariff AI, Mekala K, Fearrington LR, Setji TL, Aloi JA, Buse JB. Diabetes Care. 2017 06; 40(6):e65-e66. Parathyroid Hemorrhage.. Gorris MA, Guido MV, Rawla MS, Aloi JA. J Emerg Med. 2017 05; 52(5):e193-e194. Sickle Cell Trait and Interpretation of Hemoglobin A1c Levels.. Bleyer AJ, Aloi JA. JAMA. 2017 02; 317(5):481-482. A Word of Caution When Prescribing High-Dose Vitamin D.. Gorris MA, Arora H, Lieb DC, Aloi JA. Am. J. Med. 2017 Apr; 130(4):e129-e130.